With so many ways to use the skills learned in English class in real life, it‘s no wonder that we want our little ones to do well in this. If your child has been struggling with English throughout the year you may be looking for ways to boost their skills or confidence throughout the summer. With practice through worksheets your child can be ready to go back to school with confidence. Summer vacation is a time to rest and recharge, but it can also be a time for forgetting valuable lesson learned during the school year. Your child may go back to school and find themselves faced with once familiar concepts that no longer make any sense. On the other hand children who were already struggling may fall even further behind during this time. With summer practice strong skills can be enhanced and weak skills can be perfected. How Can I Help my Child with Areas of Weakness? Start by identifying any weak areas your child may have in English during the school year. Then focus on addressing these during the summer months for improved skills during the school year as a whole. If your child has poor grammar skills make this your focus. If writing or reading comprehension are the major issues then focus on these areas instead. What if my Child is Already Excelling in English? 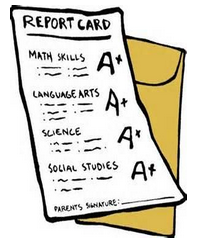 If your child has a strong skill set try to encourage them to advance or to at least keep their skills current. For these children more challenging worksheets may be in order. This will help them to grow throughout the summer months for better grades during the school year too. 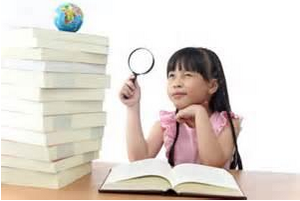 It may also help them to read better or above grade level as well to prevent them from becoming behind later. It’s important to choose the correct materials for you and your child to review with. At Turtle Diary you will find a variety of worksheets to fit your needs. With colorful and easy to use layouts your child will be having fun while learning in no time. Choose between grammar or general worksheets to get the job done right. Praise when your child masters an important skill. Throughout the summer you should see improvement in your child’s skills. If your child seems frustrated or appears to be regressing you may need to try different tactics or materials. Please see our great line of worksheets for the best resources to help your little one. With our 2nd grade English worksheets you can help your child to reach grade level or stay on top of their skills during the summer months.